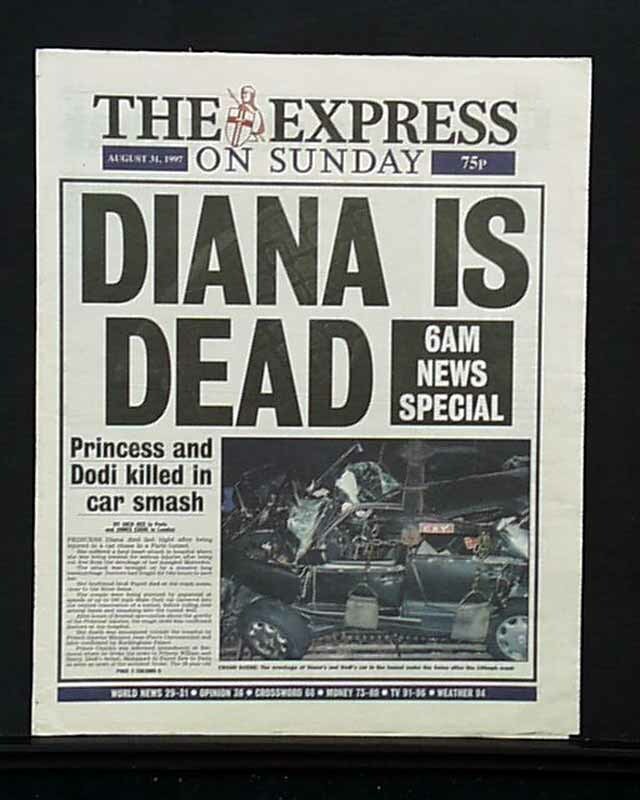 THE EXPRESS, London, August 31, 1997 (pgs. 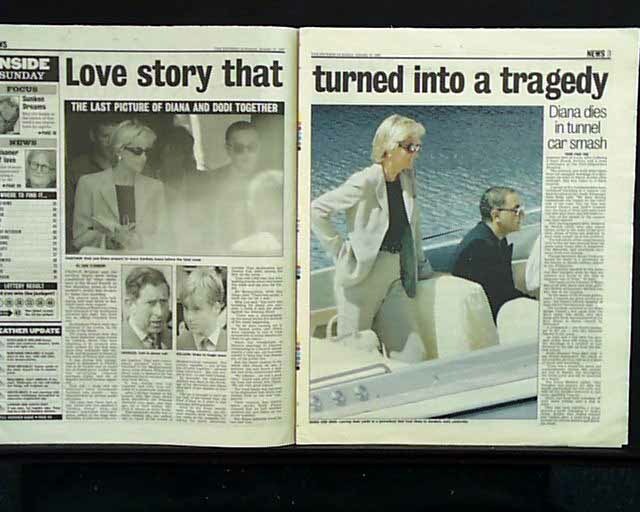 1-4, 93-96) The bold, full-banner, 2-line headline reads: "DIANA IS DEAD", with subhead: "Princess and Dodi killed in car smash", with a large photo of the mangled vehicle and supporting text. The inside has additional coverage and photos (see images). 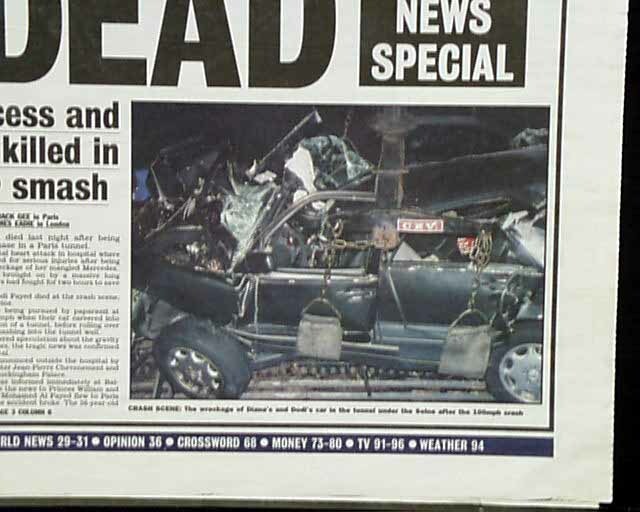 Great to have this tragic event in a London newspaper. Included are only pages 1-4 and 93-96, but quite displayable, and in very nice condition.